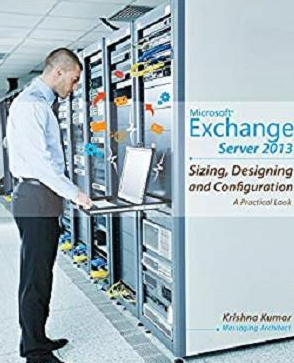 Its a book on Microsoft Exchange Server 2013, it will be on sizing, designing and configuring with a practical look. It will be based on the practical scenario for different organization with approximately user of 5,000,10,000, 25,000 and 50,000. It also contain various migration scenario like migration from Exchange 2003 , Exchange 2007 and Exchange 2010. It also includes information on Office 365 migration scenario with Exchange 2013.